Christmas Ornaments Made in USA - 2004 American President Collection George Washington Ornamen - A Christmas Ornament Co. 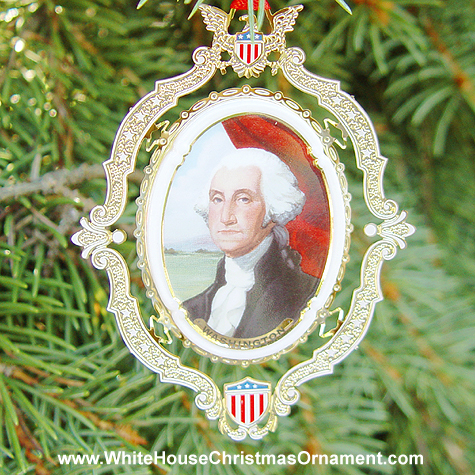 The White House Ornament Collection presents The 2004 American President Collection George Washington Ornament. This ornament features a 24 Karat Gold Finish and Fine Porcelain. This Christmas Gift Idea can serve as either a handsome Christmas display or White House Christmas Tree Ornament. Whether you are looking for a holiday ornament, a tree ornament, or Christmas collectable, this gift will make any Christmas a White Christmas. Own a moment of White House history.